Today you will have the opportunity to visit the ruins of St. Hilarion Castle, which was said to have inspired Walt Disney’s Snow White. Enjoy fabulous views of Kyrenia’s coastline from the top. This is followed by a visit to Bellapais village, where Lawrence Durrell wrote his famous book “Bitter Lemons of Cyprus”, an autobiographical work describing the three years (1953–1956) he... Two of Kyrenia's most stunning sites are showcased in this small group tour: St. Hilarion Castle and the Bellapais Monastery. You'll start your day with a minibus ride to the castle, a towering mountain fortress that was believed to inspired Disney's Snow White Castle. This is an amazing historical monument, with sweeping vistas of the northeast coast of Cyprus, rooms to explore, history to learn about, and a thousand staircases so that visiting this place almost combines hiking, education, and natural beauty. The Saint Hilarion Castle lies on the Kyrenia mountain range, in North Cyprus. This location provided the castle with command of the pass road. The castle was built during this time and was certainly there when Richard the Lionheart visited Cyprus in 1191. 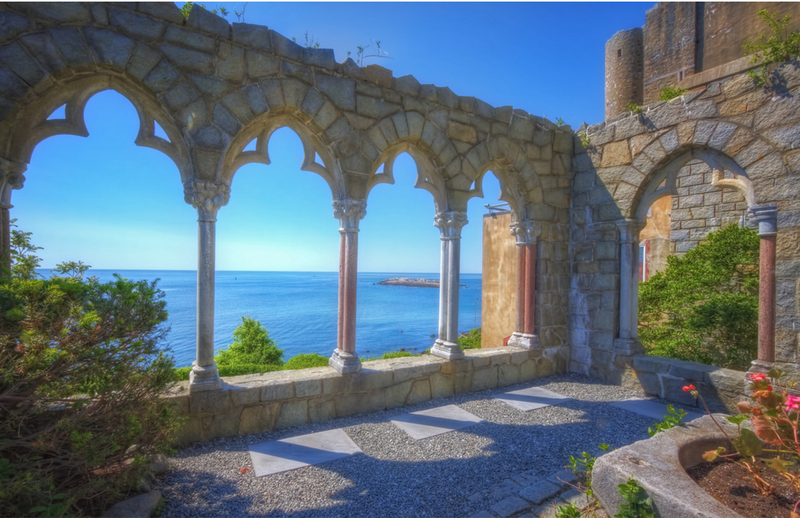 Over the years, Saint Hilarion castle was developed by many including the Lusignans who loved the cool air in the garden areas in the centre of the castle, almost on the top peak.